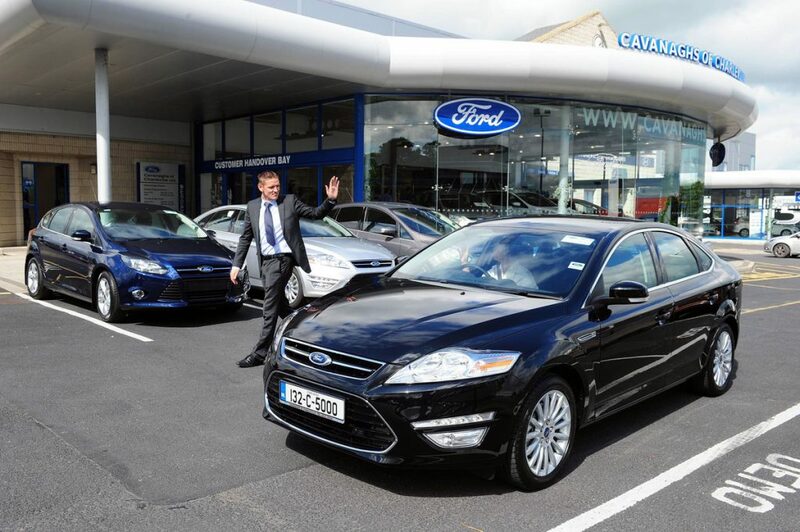 Why buy your next car or van from Cavanaghs of Charleville? So why buy from Cavanaghs of Charleville? SIMI National Franchised Dealer of the Year Winner – we were recognised by the SIMI as the best Franchised Dealer in Ireland back in 2011 and we continue to be as committed to customer care today as we ever have. Winners of the Ford Chairman’s Award for Customer Satisfaction 2008-2015 – we have now won this award (for either Service or for Sales) the last 7 years in a row and previously on 7 other occasions bringing a grand total of 14 customer satisfaction awards from Ford Ireland. Recent winners of the Autobiz Publishers ‘Aftersales Franchised Main Dealer of the Year 2015’ from AutoTrade Publications Ltd.
Our ‘Best Value’ Trade-in Guarantee – we are committed to delivering the best possible trade-in value to every customer. When we value your car, we take into account its condition, its current market value and our existing stock levels. Our goal is to give you the best maximum possible value – not just for your car but also the car you are purchasing. A Deloitte Best Managed Company. This means that, apart from having our books audited by our own auditors every year, someone from Deloitte takes a look at how we are operating and if they have any doubts about the company’s trading situation or how we run our business, we don’t get re-appointed as a Deloitte Best Managed company. So you, the customer, have the added security of dealing with a business you can trust and who you know will be around for many years to come.